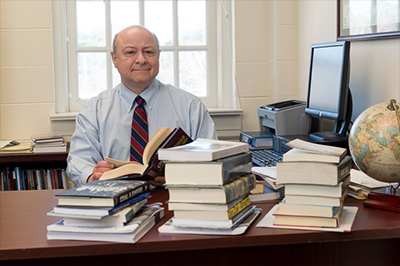 For nearly four years, Taylor Fain provided historical background to policymakers as a U.S. State Department historian. Today, he loves to share stories and lessons from the past with an audience of students. 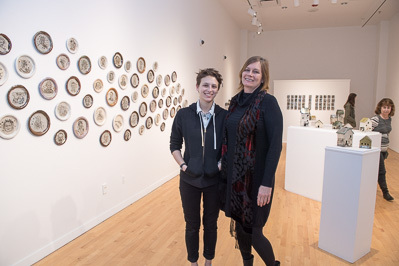 Shannon Bourne, art and art history faculty member, poses with her daughter, Camille, at the Jan. 11 opening of "Shannon Bourne: American Stories," on display in the CAB Gallery through Feb. 23.